How to see the list of system restore points created on my Windows 7 system? 2. Right-click on "Computer", then select "Properties". You will see the "View basic information about your computer" window showing up. 3. Click "System protection" in the left pane. You will see the "System Properties" window showing up with the "System Protection" tab opened. 5. Click "Next". 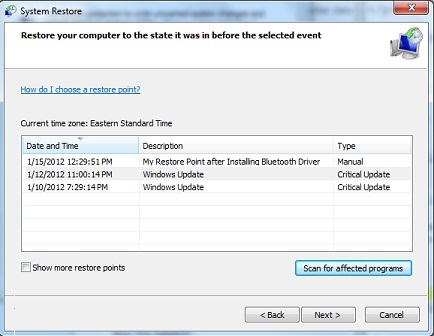 You will see the list of system restore points that have been created by you or by the system itself.